Happy hour at the new neighborhood watering hole! One of my favorite computer games, Out of the Park Baseball, released its latest version just in time for the 2015 baseball season (one of the biggest features this year is the official MLB license — that means real team names and logos!). I’ll have to write up a more in-depth review later, but first I wanted to share this screenshot from a recent game. The situation: I took over management of the Los Angeles Dodgers in 2015 (sorry, Andrew Friedman, I know you just got this job and all, but it’s time for a new sheriff) and I eventually navigated them to the 2017 World Series! In game 2, Zack Greinke is pitching for the Dodgers, and LA ends up scoring 7 runs in the first inning! 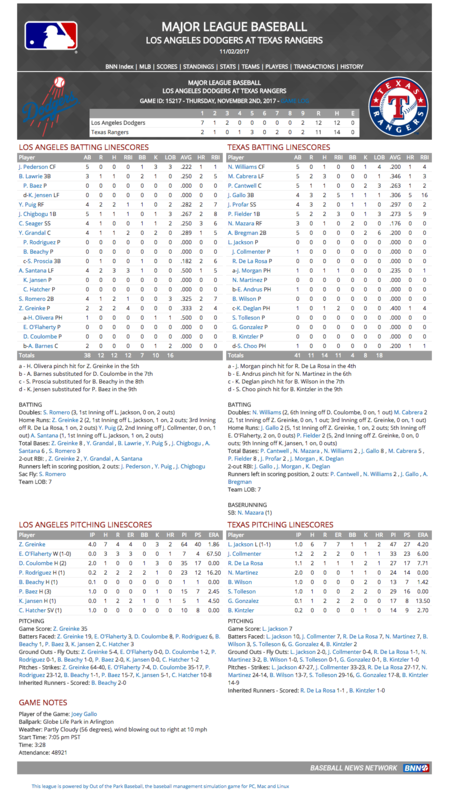 Greinke hits TWO homeruns during the game and on top of all that, Texas still came back and nearly won. Crazy!